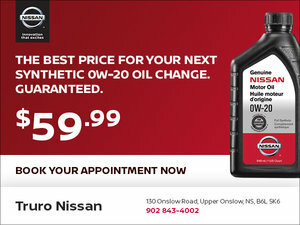 Synthetic Oil Change from $59.99! 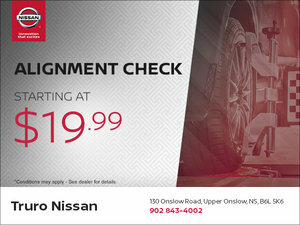 Wheel Alignment Check from $19.99! 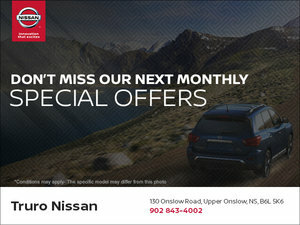 Don't Miss Our Next Monthly Special Offers! 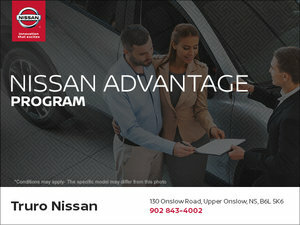 Get Great Credit with the Nissan Advantage Program! 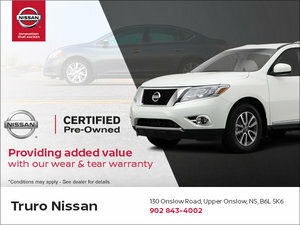 At Truro Nissan, we love to help our clients save money. 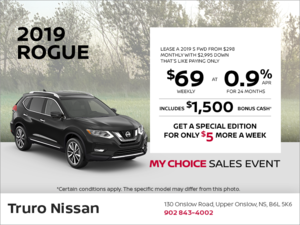 That’s why each month, we offer a wide range of promotions, special offers, and rebates in every department, including new and used vehicles, our service department, genuine Nissan parts and accessories, and our tire and detailing centers as well. 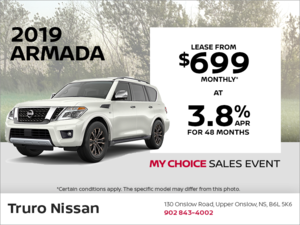 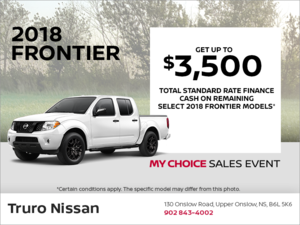 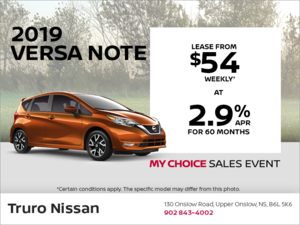 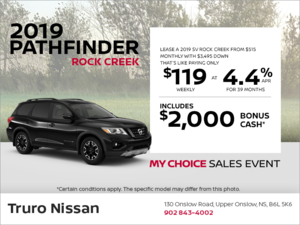 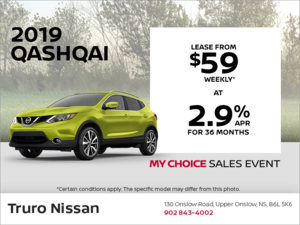 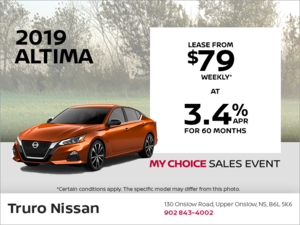 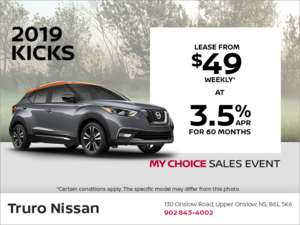 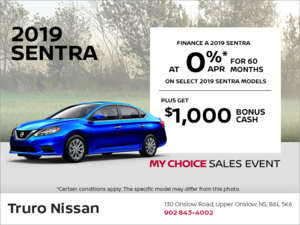 If you want to get the most bang for your buck, there is only one destination: Truro Nissan. 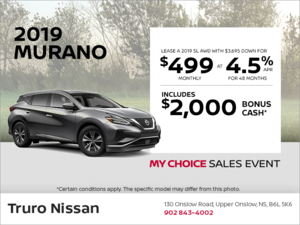 Our promotions are updated every month, and we also have plenty of seasonal promotions on winter and summer tires, spring and autumn detailing packages, and vehicle preventive care packages as well. 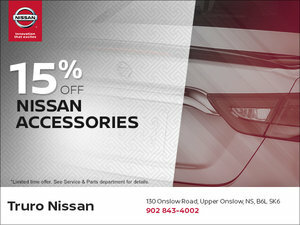 At our maintenance and repairs department, you will even find plenty of rebates and promotions on various care packages. 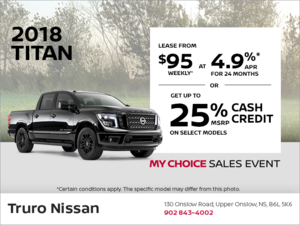 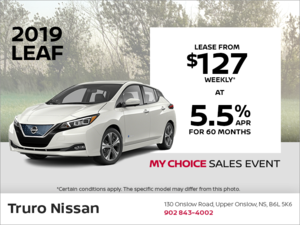 When buying a new or used vehicle, Truro Nissan helps you save you money by offering flexible, low-interest financing plans as well as impressive rebates and incentives on our wide selection of new and used Nissan vehicles. 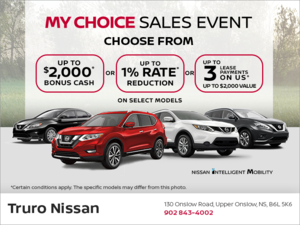 Our promotions and rebates are updated often, so check our website frequently! 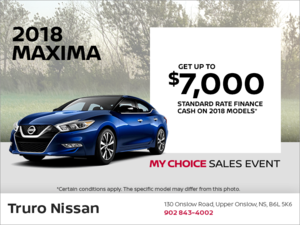 You can also join our newsletter, or follow us on Facebook! 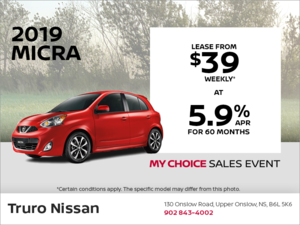 To learn more, contact us today at 902-843-4002, or online using our contact form. 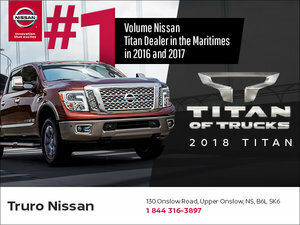 Penny and Tony were awesome!